Look For A Certified Aquascape Contractor, That Way You'll Know You Are Hiring The Best ! ​Accept No Imitations or Substitutes! A fish / koi pond or Water Garden as it is sometimes referred to is made up of many different parts, and when those parts are assembled together correctly, they form a beautiful and naturalistic work of art that changes personality with the time of day, the change of the seasons, and the moods of mother nature. 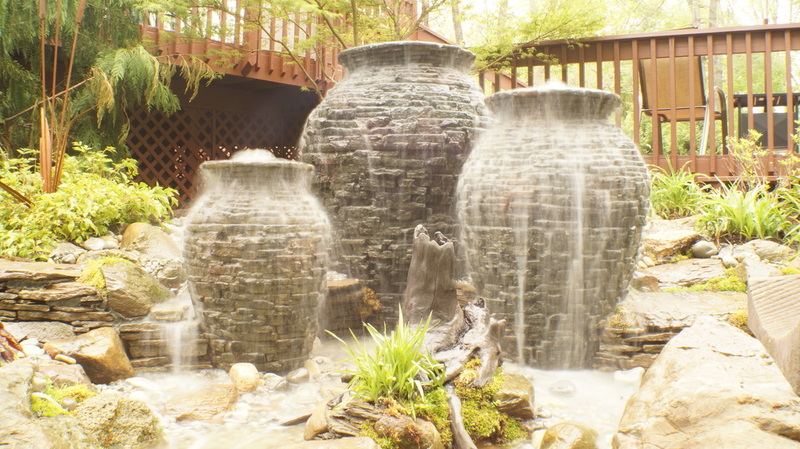 One of of the most popular water feature options across the country is the Disappearing Aquascape Pondless® Waterfall. This is an ideal option for consumers that want the sights and sounds of water without having a traditional pond or water garden This style of water feature is an ideal option for consumers with space constraints, small children or municipality restrictions. Do you have a spot in your garden leaving you without any good ideas about what to put there? Maybe it’s a shady spot where grass struggles to grow. Perhaps the soil isn’t the best for nurturing healthy perennials and annuals. Or maybe you’re just interested in attracting a few more birds and butterflies to that location. 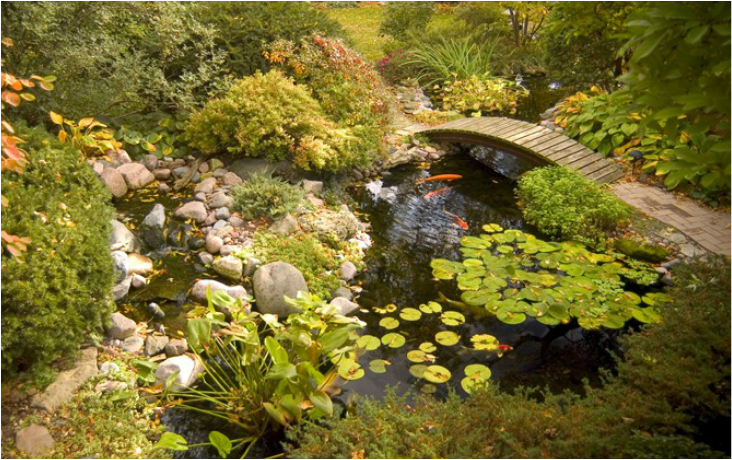 ​Look at your water garden, do you think that something is lacking? You might want to place a structure like a gazebo or a pergola but your space is not enough to accommodate it. 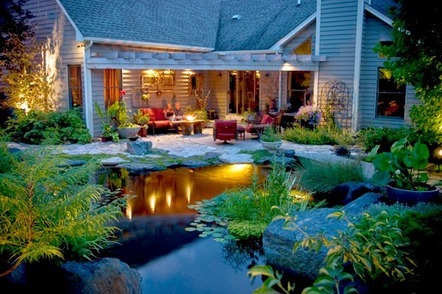 So, if you are thinking of ways to ad beauty to your Backyard Pond, you can try adding a stream or garden bridge. But of course, you have to work on the aquatic plants and flowers that will go with it. 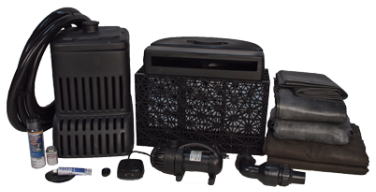 Aquascape LED Garden and Pond Lighting combines style and simplicity. Our newest component fixtures feature a die-cast metal housing finished with a coating providing a durable finish that will hold up in all weather conditions. Bring your pond or water feature alive at night and transform your outdoor lifestyle to a sanctuary of dancing light and night effects. Most people think of outdoor grills and patio furniture when they think of outdoor living spaces. Once the outdoor meal is over, what more is there to do in your backyard? While many homeowners turn to pools or hot tubs, they're discouraged by the amount of maintenance and chemicals required with these amenities. 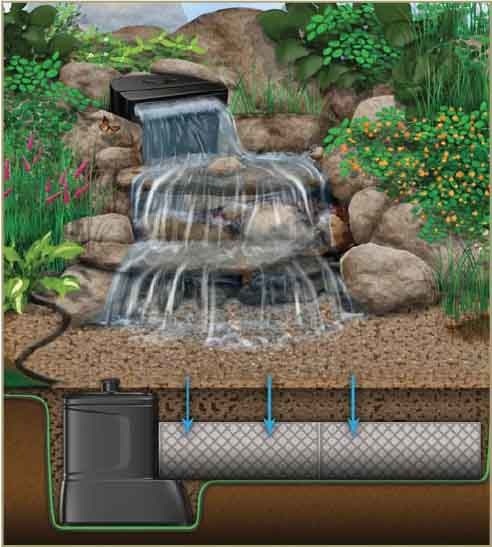 For the price of a hot tub, a beautiful Ecosystem Pond can be installed, and less maintenance is required thereby providing more time to relax and enjoy friends and family. Keeping fish for enjoyment has been a human obsession for hundreds of years. In the last century, the hobby of fish-keeping has become a major industry. This is partly due to the fact that keeping fish is relatively simple. Now combine that with the peacefulness and tranquility that fish-watching brings, and you’ll understand its appeal.